Not every arts organisation has a house band!!! But we DO!!! It seems daft not to when you consider that music is a BIG part of how we work. Some Like It Ossett is a fun and funky four, sometimes five piece band. Equally at home on the festival stage, round a camp fire, in the backroom of a pub or your living room. ‘Some Like It Ossett’ will get your toes a tapping and your hearts a soaring with an eclectic mix of Twisted Americana, Country Swing, Jazz and Blues. ‘The whole building is buzzing from your performance’ Junction Goole. Izzi Finn Just brilliant. Can’t stop singing about lighthouse keepers now! Stu Holroyd This was my highlight of Seafest. Sue Denim-Mesqualito You were just fantastic ! Sue Wilson You should have been here. 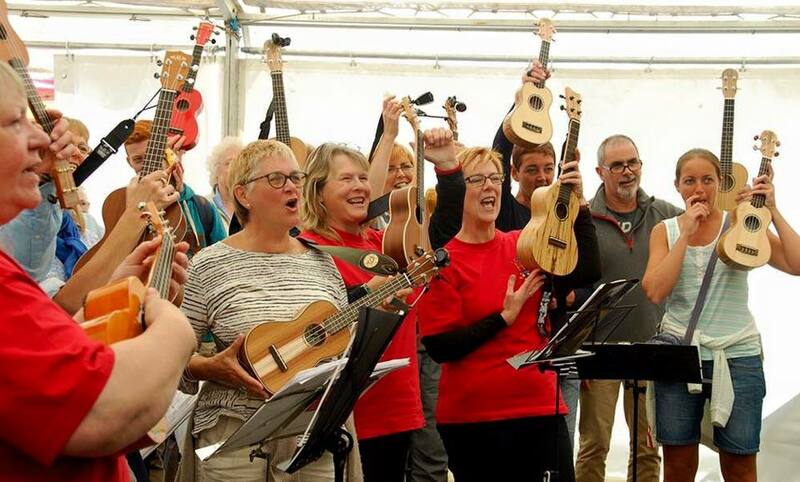 Massed ukuleles on the pier! Dawn Nisbet Fantastic what a great way to bring the community together you rocked it! 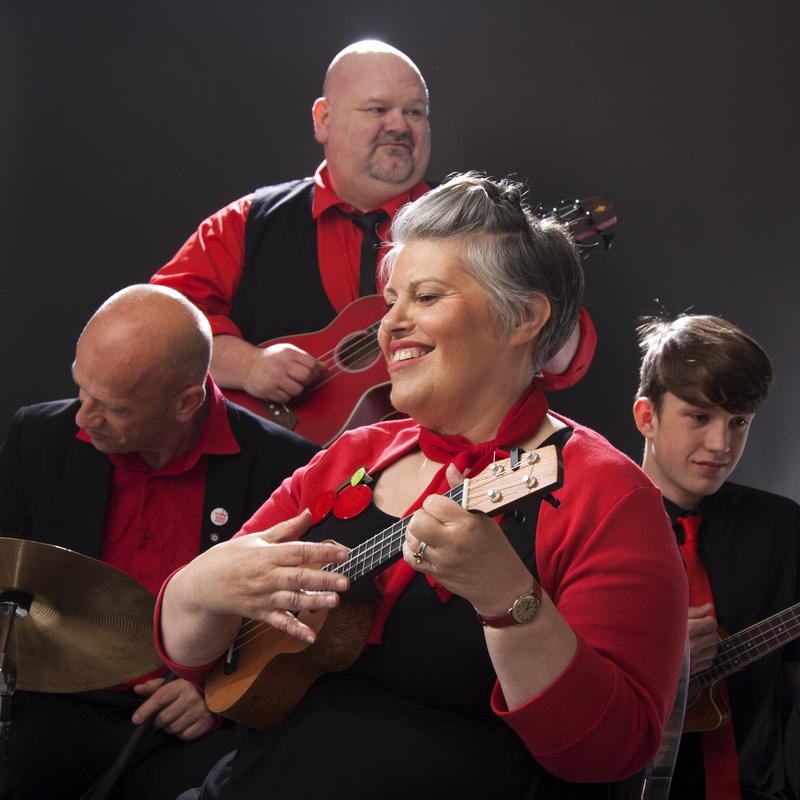 Gill Cain – Ukulele Inspiration, what great fun. Adrian Riley – was great fun, I might even have got a couple of the chords right.